A fuel cell is like a battery in that it generates electricity from an electrochemical reaction. Both batteries and fuel cells convert chemical potential energy into electrical energy and also, as a by-product of this process, into heat energy. However, a battery holds a closed store of energy within it and once this is depleted the battery must be discarded or recharged by using an external supply of electricity to drive the electrochemical reaction in the reverse direction. Fuel cells can vary from tiny devices producing only a few watts of electricity, right up to large power plants producing megawatts. All fuel cells are based around a central design using two electrodes separated by a solid or liquid electrolyte that carries electrically charged particles between them. A catalyst is often used to speed up the reactions at the electrodes. Fuel cell types are generally classified according to the nature of the electrolyte they use. Each type requires particular materials and fuels and is suitable for different applications. There are six major types of fuel cells, namely Proton Exchange Membrane Fuel Cell (PEMFC), Direct Methanol Fuel Cells (DMFC), Solid Oxide Fuel Cells (SOFC), Alkaline Fuel Cells (AFC), Molten Carbonate Fuel Cells (MCFC) and Phosphoric Acid Fuel Cells (PAFC). Fuel cells are used today in a range of applications, from providing power to homes and businesses, to recharging consumer electronics, to moving a variety of vehicles including warehouse forklift fleets, buses, trucks, cars, and more. Today fuel cells are being used in many applications such as stationary power, vehicles and materials handling. 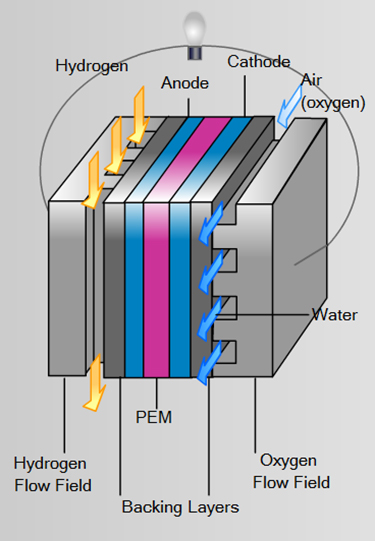 Current challenges in fuel cells include high cost of precious metal based electrocatalysts, carbon corrosion in PEM fuel cells, impurities in the fuel and air – starting and stopping (cycles), freezing and thawing, and humidity plus load cycles that result in stresses on the chemical and mechanical stability of the fuel cell system materials and components. To learn more, visit our website or contact us. The goal of Asset Integrity Management (AIM) is to effectively manage corporate assets in order to gain maximum value, profitability and returns while safeguarding personnel, the community, and the environment. At Intertek our AIM team delivers trusted and innovative technical solutions that ensure the quality, safety and reliability of our clients' assets. Dr. 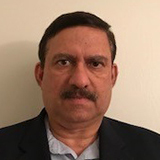 Merchant is a PhD Materials Scientist with over 20 years of diverse experience in alternative energies, superconductors, fuel cells, batteries, solar cells, ceramics, metallurgy, welding consumables and processes, semiconductor packaging and printed circuit boards. He is also trained in Six Sigma, Department of Energy, Robust Engineering, Project Management and Organization Learning. His work thus far has resulted in 6 US patents, 3 US patent applications under review, and over 25 technical publications.